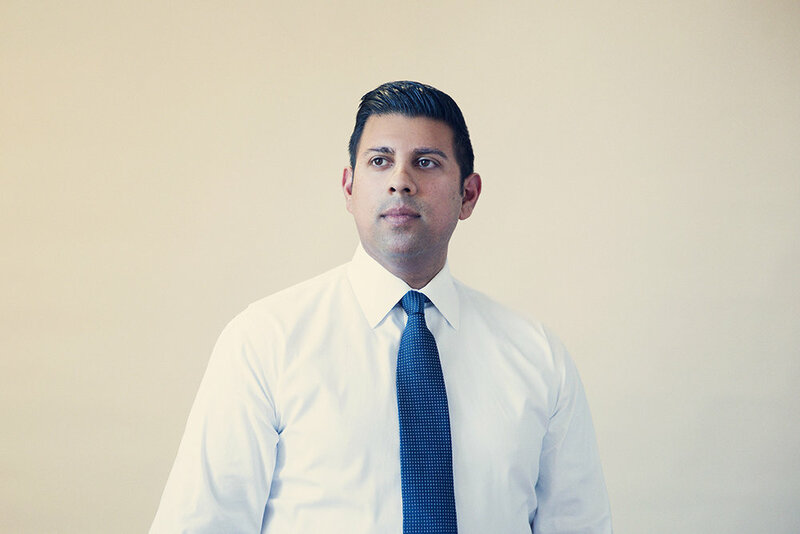 Born in an Indian orphanage, Jeremy was adopted by a courageous single-mother and grew up in the South Wedge neighborhood of the City of Rochester. Raised in an Irish family, he inherited a strong sense of family, faith, and our famous upstate accent. Jeremy has devoted his career to serving our community—from the YMCA to federal, state and local government. Previously, Jeremy served as Senior Director for Community Relations for Empire State Development, where he helped manage economic development initiatives on behalf of Governor Andrew Cuomo. He also served as Chief of Staff for Rochester Mayor Lovely Warren, a law clerk for New York Governor David Paterson, and as a staff aide to the late U.S. Congresswoman Louise Slaughter. With a deep commitment to creating the Rochester of tomorrow, Jeremy is passionate about educational justice for families, quality affordable housing, universal health care, and creating real pathways out of poverty. Jeremy graduated from the Rochester City School District, received a B.A. with honors from Hobart College and a J.D. from Albany Law School. He was named “Forty Under 40” by the Rochester Business Journal and is a proud Eagle Scout. Today, Jeremy lives downtown—across the street from his amazing girlfriend, Diane. They both love Rochester. We need real jobs that our neighbors can get today, not just short-term tax cuts and big company investments that don’t result in actual local hiring. We must re-imagine public education to better integrate career training in high school, rather than focusing solely on post-secondary education. This will allow us to more quickly grow our workforce and make upstate New York more competitive for prospective employers. Let’s be creative but aggressive. We’re tired of waiting. All Kids Matter, Not Their Zip Codes. New York schools and students are falling behind. My own school system, the Rochester City School District, is the worst performing district in the state. And whether urban or suburban, our principals and teachers are not empowered to make change in schools, our educational curriculum is outdated, and we need more funding for arts and athletics. We must think differently and act boldly to promote change - no more quick fix policies or excuses. A continually failing city school district endangers our entire region's economic growth and we must intervene. We support public school choice, so that all families can choose the best public school to meet their needs. We also support higher educational affordability and student loan forgiveness programs. Gun Sense Laws Are Common Sense. Talk is cheap, action is needed. We support the enforcement of common-sense gun regulations already on the books and new measures to keep our children and families safe. This includes passing legislation that would create Extreme Risk Protection Orders to prevent gun violence before tragedy occurs. As a society of laws, we can protect second amendment rights without the need for compromise on what’s right for public safety. We believe diversity is a strength and not a weakness. Representation matters. It’s Not About Whether It’s True, It’s What Are We Going To Do. The time for debate about climate change has passed, the science proves this is a reality. The question now is what are the policies we need to put in place to manage the effects and secure our future.We support local initiatives that would bring jobs in the renewable energy industry, such as retrofitting our local housing stock by hiring and training our neighbors to do the work. With the legalization of cannabis, Upstate can realize new economic development opportunities in one of the fastest growing agri-business industries. But, it’s not just about economics, legalizing cannabis is a social justice issue. Legalization will end the discriminatory enforcement and incarceration of minority populations that has been proven to exist. Just Like My Mom, I’m A Fighter. Like so many others, I lost a loved-one to dementia and cancer. My mother, Anne, died when I was just 33. I know firsthand that cancer and dementia are awful diseases. As caregivers, spouses or children, we often feel helpless to these incurable conditions. But, we can do something. We must improve home care programs and access to skilled-nursing facilities for low-income seniors. We must also work to protect seniors with dementia from financial exploitation. Every year we lose young talent from our city. Why? Because of a lack of jobs in upstate. For the last 15 years, we have been actively working to create a better quality of life in Greater Rochester for young professionals. We must create new programs that incentivize recent graduates to stay or return to upstate to work, purchase a home, and raise their families here. We need New York State to be an aggressive recruiter for population migration upstate, otherwise our friends and your family-members will continue to look elsewhere.